Come on out and enjoy this fun hands-on workshop! 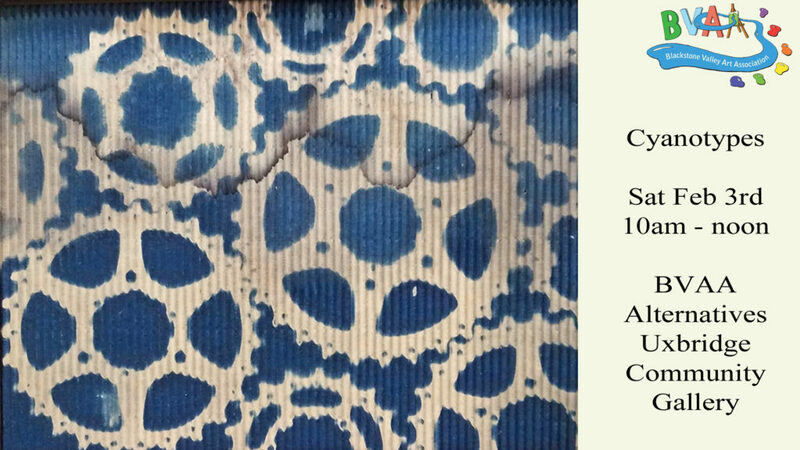 This workshop teaches you all about cyanotypes. Cyanotypes are an early form of photography. We’ll explain how they’re made. We’ll explore the different types of cyanotypes you can make. Then we go hands-on. You end the workshop with your very own cyanotypes, created by you. We’ll have fabric squares available. If you want to make your cyanotypes on fabric, we’ll have a follow-up workshop on Sat the 10th to come back and sew them into pillows. Otherwise you can just come back on the 10th and make more regular cyanotypes if you wish. This fascinating workshop is free for BVAA members and $10 for non-members to cover supply costs. It is open to the public. Please make sure you register beforehand so we know what supplies to bring.